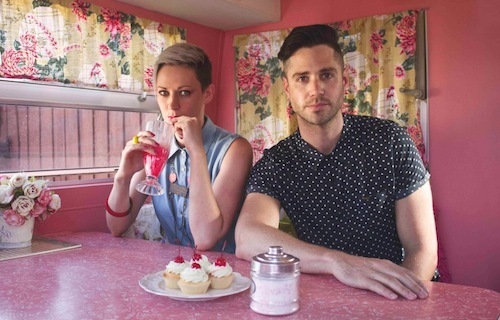 Melbourne electro-disco duo Back Back Forward Punch was born out of a mutual passion for indulgent disco beats and strong, sassy vocals. Made up of Laura Boland (vocals) and Andy Liddell (keys and prod), the outfit have become regulars on Melbourne’s live music scene. A few days ago, Back Back Forward Punch released their latest single “Zero to Disco”, which you can currently stream and download from Triple J Unearthed. The release features remixes from electro-funk extraordinaires Dublin Aunts and Discotexas wunderkinds Coupons.